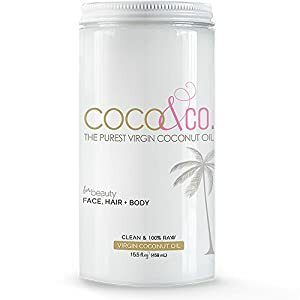 Best Coconat Oils For Hair Reviews: Top 10 for April 2019! For hundreds of years, many different uses for coconut oil have been discovered. When ingested, it helps in maintaining health and immunity. It also provides moisture-locking and nourishing properties when used externally. Because of this, you can find it as the main ingredient of hair and skin products. If used correctly, it can be very nourishing and beneficial to the hair. It is a rich source of fatty acids with antimicrobial and antibacterial properties. Coconut oil can also help prevent the loss of natural proteins in the hair and follicles. Penetrating deeper into the hair strands than any other oil, it gives quick, amazing results. It can also be used as a treatment for dry scalp and to prevent hair damage. On dry hair, it helps in getting tangles out and can be used for styling. Some studies have proven that coconut oil also a protects the hair from UV radiation, dryness, and breakage. A study published in the European Journal of Pediatrics even showed that coconut oil can be a natural and non-toxic lice killer. When you look up coconut oil online or in your local stores, you will notice some common terms on the label. Understanding these terms will help you have a more informed purchase decision. Oil extraction is typically followed by refinement. Refinement gets rid of any impurities or unwanted components. Coconut oil undergoes different combinations of processes. However, it can generally be classified as either unrefined or refined. Unrefined oils have not been subjected to any additional refining. They only go through a filtering process to remove large particles. Refined oils, however, are exposed to chemicals, heat, and other mechanical steps for further purification. Fair Trade products are manufactured in a place adhering to Fair Trade laws and regulations. It could be a factory or farm where workers are fairly paid and do not include minors or slaves. Virgin or extra virgin oils undergo as little processing as possible. This gives them a lower moisture content and a longer shelf life. Virgin oils are extracted through cold compression. They are not deodorized, heated, filtered, refined, or bleached. Meaning, they are generally unrefined and have not been exposed to chemicals during extraction. This way, they retain most of their natural properties and components. These components include vitamins, minerals, polyphenols, and antioxidants. In fact, a study conducted in 2009 found that virgin coconut oil has a significantly higher antioxidant capacity than processed oil. Fractionation is a step in the process of coconut oil production. It involves thoroughly separating the components of the oil. Because of this, fractionated coconut oil will have a liquid rather than a solid form. This gives it a longer shelf life and allows it to mix with other oils better. Fractionated oils also get absorbed quicker and can moisturize the skin without clogging pores. This makes them ideal for facial oils and those intended for the hair. In previous decades, consumers only worry about about organic or regular coconuts. Today, however, there is a possibility of GMO coconuts being grown and used for oil. The “organic” label assures you that a certain product is made from non-GMO coconuts. This can also mean that the coconut source was grown with minimal pesticide use. The term is often used to describe virgin or refined coconut oil. Regardless of all the good qualities of a certain coconut oil product, failing to use it properly will give less than desirable results. Also, coconut oil is not for everyone’s hair type. Never use coconut oil on your hair if you are allergic or reactive to coconuts. Avoid the scalp when applying coconut oil on your hair. It could clog the pores and cause irritation or other negative effects. Begin by applying small amounts of coconut oil. See how your hair responds first before adding more on your next application. Coconut oil works best in reducing frizz when only a small quantity is used to coat the hair. Rub coconut oil between your hands first before applying it on your hair. This warms it up a little and makes it better and easier to apply. If you have medium or fine shiny hair, coconut oil can improve its strength, shine, and volume. However, it can make coarse dry hair even more brittle and prone to hair loss or breakage. Mix coconut oil with other ingredients for best results. Other oils, yogurt and honey are great examples that can improve and add to its benefits. Now, you have been thoroughly informed about the uses and facts about coconut oil. So, let me now introduce you to ten of my favorite products with coconut oil that I use for my hair. Using the information I mentioned previously and the descriptions here. 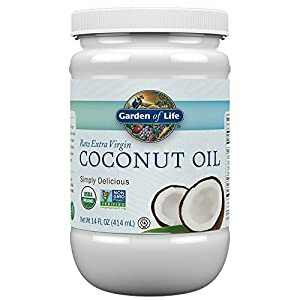 If you’re looking for the best coconut oil for hair growth, try this one from Garden of Life! This extra virgin unrefined oil is produced and extracted from the finest organic coconuts using a centuries-old process for optimum quality. The process involves shredding the coconut meat. It is then cold-pressed to produce coconut milk which undergoes a filtration process for a higher quality oil. It is extra virgin and raw, which means it is rich in natural saturated fats without any transfatty acids. The natural scent and taste of the coconut oil is well-preserved. This way, you are assured that it is healthy and versatile. This product is a healthy source of medium chain fatty acids (MCT’s) like lauric acid, caprylic acid, and capric acid. These are readily absorbed and used by the body for fast results. Garden of Life Coconut Oil is vegan and non-GMO project verified. It is free of dairy or soy, which means it is suitable for those with allergies. It is also certified organic by Quality Assurance International. This is an organization under the U.S. Department of Agriculture that issues organic certification to food providers and farmers. Aside from being a great skin moisturizer and natural hair conditioner, I also like it as a substitute for margarine, shortening, or butter. However, in my opinion, this product is quite expensive because it is usually not available in bulk purchases. The item’s shipping weight can also be a concern for international purchases. Next on our list is a rich and creamy hydrating and restorative hair mask from Majestic Pure. This brand could be the best coconut oil brand for hair growth and care treatment. Aside from pure coconut oil, this hair mask also contains other amazing natural ingredients. These help in reviving and moisturizing all types of damaged hair. It has a thick, rich, non-drip lotion-like consistency which makes application easier. However, this also makes it harder to remove it completely from your hair. Although applying and leaving it on for a few minutes does work, I sometimes leave it on overnight for a deeper conditioning. By deeply conditioning the hair and nourishing the scalp, it gives your hair a healthy natural shine. It also repairs damaged, weakened, chemically-treated, and over-processed hair. 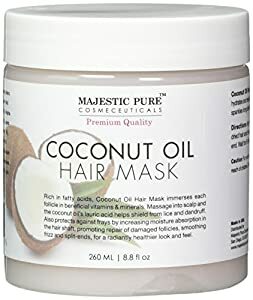 Thanks to a delicate balance of natural extracts and coconut oil, this mask improves the texture and promotes the luster and growth of the hair. It makes my hair super soft to the touch and much easier to detangle and style. However, the coconut scent is a bit strong, which I don’t mind, but other people may not like. Hair is rehydrated and rebalanced for a better overall texture and health. It also naturally protects from further damage from the sun and other natural elements. In case you haven’t heard, the best coconut oil for skin moisturizer can also be the best for your hair. This is the inspiration behind this Coconut Oil Cream from Advanced Clinicals. Aside from your hair, this spa and salon-grade moisturizing cream can also be used on your hands and face. This healthy cream is loaded with lauric acid from natural coconut oil that makes it super healthy. It helps in nourishing, renewing, and deeply hydrating dull and dry skin or hair. It has a non-greasy feel, super lightweight when applied, and absorbs almost readily. You can also use it as a facial moisturizer, eye cream cream, body lotion, or anti-aging treatment. This cream contains a combination of coconut oil, Chamomile and Lavender extract. These components give it that soothing, addictive fragrance you will surely love. The blend also includes natural glycerin and concentrated pure aloe vera for extra hydration. This also provides your skin with a healthy glow and your hair with a lustrous shine. When applied on the hair, it penetrates deep into the roots and hair follicles to stimulate hair growth. The scent is also a mild almond and coconut smell that is not too overpowering. The best coconut oil for black hair should be premium grade and 100% pure, just like this fractionated coconut oil from Molivera Organics. It brings out the shine, softness, and bounce of your natural hair! Because of its liquid consistency, this coconut oil evenly coats and absorbs into each hair strand without leaving a greasy residue. It can also serve as an anti-aging and softening agent for sensitive skin. This liquid oil also speeds up the healing and repair of multiple hair and skin issues. Because it is fractionated, it will also keep longer in storage without getting rancid. It even comes in a dark brown bottle to protect it from sunlight that could compromise its integrity. This oil also won’t stain fabrics like sheets, pillowcases, or blankets. So, you can apply it both in the morning and at night! Molivera’s fractionated coconut oil is also odorless and tasteless, which makes it perfect for a wide range of uses. These uses include as a carrier oil, for aromatherapy, baking, cooking, and as a hair treatment. Rich in capric and caprylic acid, it has antioxidant and disinfectant properties as well. The oil even effectively covers hair strands thoroughly for a deeper penetration and impressively soft and strong hair. This video gives a summary of this product’s features and benefits. 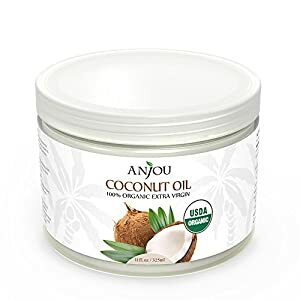 Next, I also recommend the Anjou Organic Extra Virgin coconut oil. 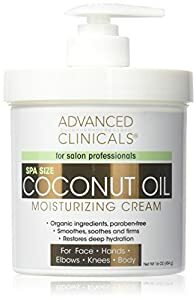 This, in my opinion, is the best coconut oil for natural hair due to its purity and quality. It does not have any strong taste or smell, making it versatile for various purposes. It can be used for cosmetic purposes, for baking and cooking, and as a dietary supplement. Being rich in healthy fats, it helps improve immunity, thyroid function, and digestive and heart health. Unlike other oils, it is not bleached and is free from hydrogenated and trans fats. It is extracted from the best coconuts harvested from Sri Lanka and the Philippines. These coconuts are from non-GMO, non-crossbred trees so you’re assure of health benefits and nutrients. Fresh coconuts are hand-picked and cold-pressed without additives. You can use it as a massage oil, carrier oil, makeup remover, dietary supplement, moisturizer, hair conditioner, and other household purposes. It has a fresh coconut scent that can bring anyone back to the thoughts of the tropics and summer. 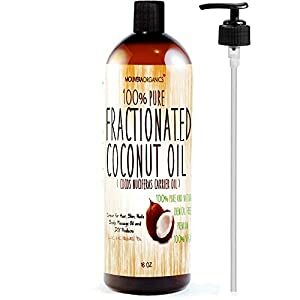 The first consideration when it comes to how to use coconut oil for hair growth is to use a cosmetic grade coconut oil, like this one. COCO& CO. understands that using the wrong food grade coconut oil on your hair and skin can lead to disastrous results. So, they come up with this 100% Cosmetic Grade oil for your beauty needs! This raw pure virgin coconut oil extracted from organic coconuts is intended for health and beauty purposes. It is specifically created for your hair, skin, and scalp. It also promises to help stimulate hair growth. The silky texture of this oil ensures its quick absorption into the skin, scalp, and hair strands for maximum benefits. Use it as a repair treatment, hair mask, deep conditioner, or add a few drops with your shampoo and conditioner for a more beautiful, thicker, and faster hair growth! This oil even makes the hair more healthy and beautiful by adding softness and shine. It is non-greasy and has no color, odor, or taste. It provides more of the best minerals and nutrients for your hair than any artificial hair product. It also protects the hair from sun damage. When I say I like a brand, I really do mean it. 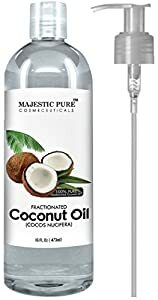 This is why Majestic Pure makes a double appearance in this list with their fractionated coconut oil. Unlike the hair mask, this product serves more purposes. While it is not the best coconut oil in India for cooking and is intended for external use only, it has tons of benefits to offer. You can use it as a carrier oil to dilute essential oils or as a massage oil. It also offers moisturizing and softening effects for amazing hair and skin care benefits. Because it is fractionated, this oil is rich in caprylic and capric acid. This gives it a good amount of disinfecting and antioxidant properties. It can act as an anti-inflammatory, anti-irritant moisturizer that also relieves discomfort due to skin rashes. Its liquid form is also readily absorbable and gives it a longer stability and shelf life. For your hair, it serves as a natural conditioner, softener, non-irritating lubricant, and moisturizer. And another bonus: it won’t stain clothes or fabrics, thanks to its light fluid consistency. This oil seems to have a smoother consistency than other oils in jar packages. Therefore, it mixes readily with other oils and similar liquids, which makes it perfect for my DIY home treatments. Pure Naturals offers you an all-natural, multipurpose oil that I highly recommend. It is natural, pure, and great for DIY hair treatments and skin applications all over your face and body. You can even use it to dilute essential oils as a liquid aromatherapy carrier oil. Thanks to the fractionation process, all long-chain triglycerides have been removed. What remains are medium chain triglycerides (MCTs) that give the oil a better stability, longer shelf life, and a liquid form. This fractionated oil also retains much of the natural minerals and nutrients from coconuts. It leaves no greasy feeling when used as a moisturizer or a hair conditioner and treatment. Because it comes with a pump and press disc cap, you can easily dispense in smaller amounts at a time. This helps you avoid wasting the oil or putting too much on your hair. Aside from stimulating hair growth and limiting hair fall, it is also very gentle and hypoallergenic. In fact, it is safe enough to be used for babies and toddlers. Unlike any other product in this list, this coconut oil is derived from handpicked wild-harvested coconuts. This way, the oil retains all of the essential minerals and vitamins. You can use it to condition, style, nourish, color correct, and repair damaged hair, among other uses. It is ideal for the skin and scalp, thanks to its antifungal and antibacterial properties. This organic coconut oil can also be used as a dietary supplement or for cooking. When applied on the hair both day and night, it delivers a non-greasy coating. This gives skin a lustrous shine and also encourages thicker, faster, and healthier growth of the strands. When used for styling, it also revitalizes and conditions the hair. It even helps with healing and relief after exposure to the sun’s UV rays. This formulation also helps in treating psoriasis, dandruff, and eczema. Rubbing this product regularly on your scalp can help treat dandruff and fight against lice instead of clogging the pores and causing a host of problems. On top of everything, this chemical-free, cruelty-free, Kosher and organic product will suit anyone’s lifestyle. 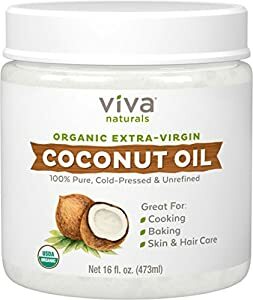 Last but not the least is this Organic Extra Virgin Cold-pressed Coconut oil from Viva Naturals. It is extracted from handpicked organic coconuts at the peak of their freshness. This ensures maximum nutritional value and benefits. Viva Labs source their coconuts from trees grown in mineral-rich volcanic soil in the Philippines. So, you are assured that these are the best coconuts in the region. After harvesting, the coconuts are cold-pressed within only a few hours. This process retains all the nutrients, antioxidants, natural flavors, and silky-smooth consistency. This oil can be applied on your hair and skin. It can also be used as a dietary supplement or for cooking and baking. When applied in its liquid form, it is quickly absorbed into the hair to deliver moisture, shine, and nourishment. When used as a base for hair coloring, it can make your hair color more vibrant and longer-lasting. Although you might expect otherwise, it delivers a cooling effect on the scalp, especially for those who perspire a lot. You can use it to style, treat, and protect your hair from damage. Find out more information and how to use this product by watching this video! Why is coconut oil better for conditioning my hair? Coconut oil is a natural remedy for dry, frizzy and damaged hair. It works better because it is all-natural and free from additives, chemicals, and artificial preservatives, fragrances, or dyes. Is coconut oil really good for my hair? Generally, coconut oil delivers a deep conditioning effect and luster to dull and dry hair. However, as mentioned previously, not all hair types will experience the same benefits. Researches and anecdotal accounts from users have reported that coconut oil is effective in removing hair dye. It does strip the hair from product and damage, restoring the natural hair color. However, some treatments and masks will not be able to completely remove hair color. Does coconut oil have an SPF value? To some extent, coconut oil offers protection against UV rays. However, its SPF value has been found to be between 4-7 only. This is too low and may not be sufficient to replace sunscreen. The good thing is it serves as a great soothing after-sun lotion. Does coconut oil ever go bad? Like most oils sourced from plants, coconut oil does go bad or rancid. However, its shelf life is very impressive, stretching over years before any sign of going bad shows. Especially in the fractionated liquid form, you can keep it unrefrigerated for at least a year. So that’s it! 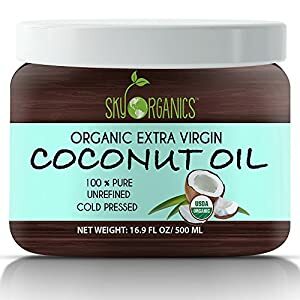 I have chosen these ten best coconut oil for hair products because they come from reputable, trusted brands. Aside from that, they all undergo a clean and thorough process from tree to bottle to ensure maximum quality.